Times can get tough for anyone. If you are someone you know needs help, just dial 2-1-1 on any land-line phone or 1-800-543-7709 on any cell phone, or go to their searchable website at www.211unitedway.org. Get connected to the help and resources that will help you get through these tough times. Multilingual lines are available 24 hours a day. 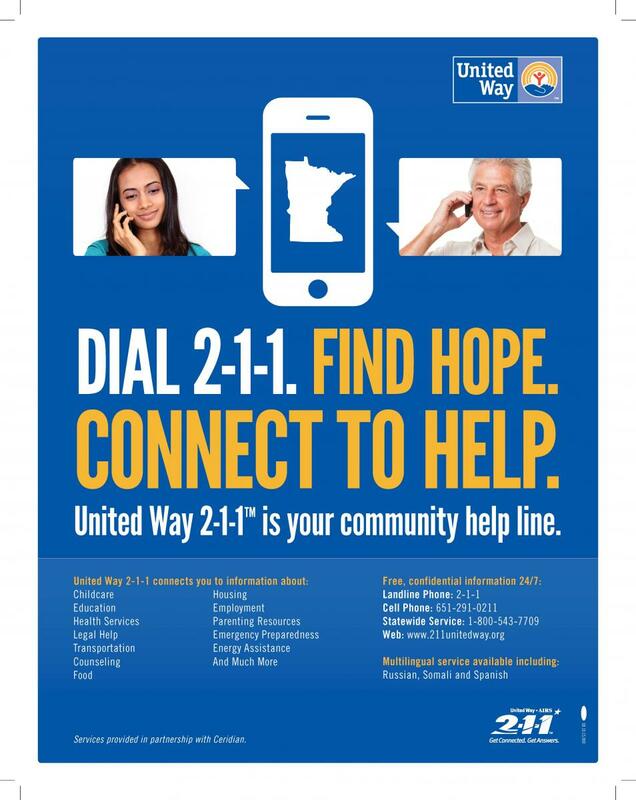 If you are from an organization that would like to help spread the word about this program, the Greater Mankato Area United Way office has 2-1-1 informative materials available to post or distribute at your organization. To request these free materials, call our office at 507-345-4551 or email us at mankatouw@mankatounitedway.org.